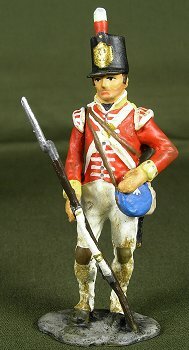 Hinton Hunt - Repainted by me. 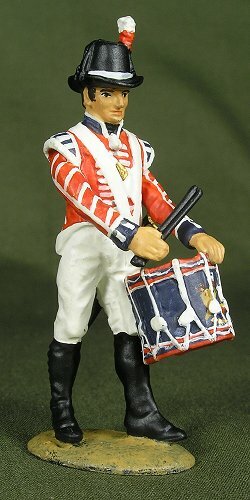 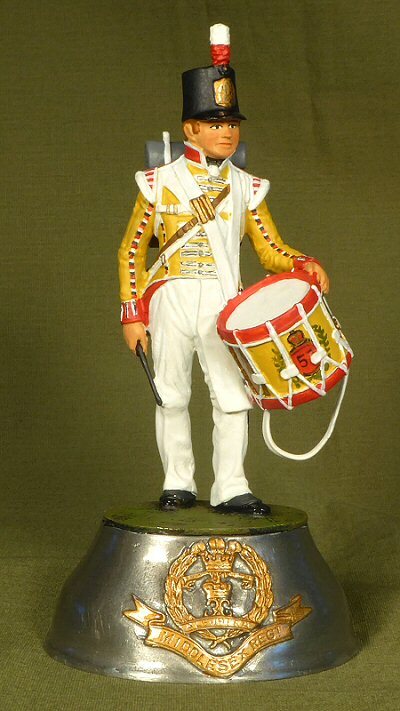 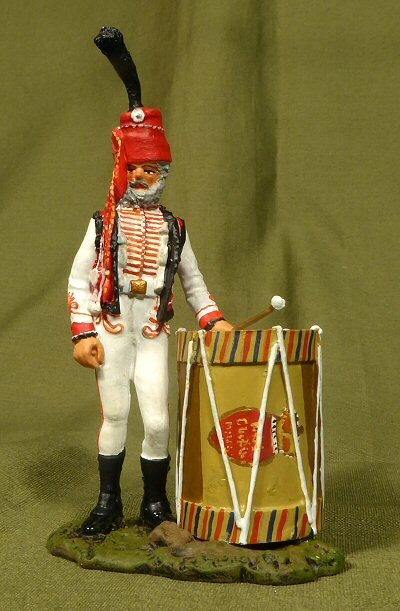 "Steady the Fifes and Drums"
Unknown Maker....can you help me ? 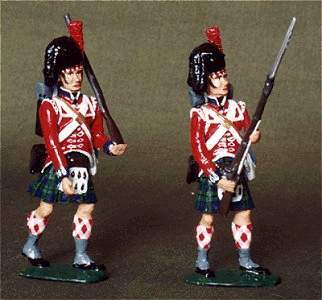 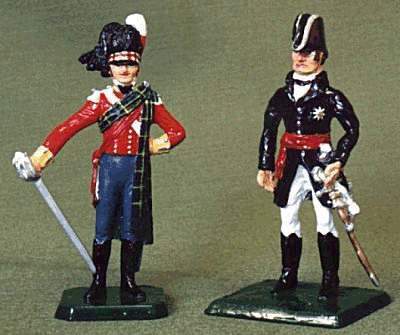 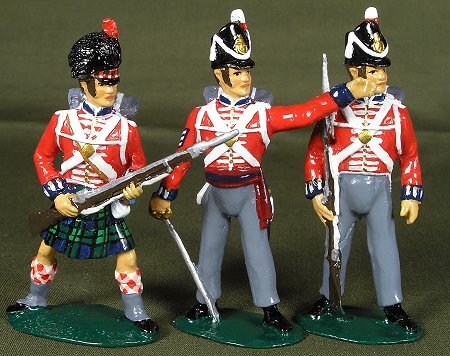 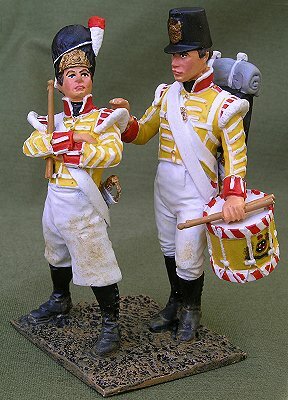 Guards Sapper, Soldier carrying his woman, Guards Drummer - "Retreat to Corunna 1808" 1/5th Northumberland, 1/52nd Officer Light Coy, 71st Highland Light Infantry, NCO 88th Regt - "Retreat to Corunna 1808"
Black Watch, Female Camp Follower, 1/4th Officer Light Co, 1st Foot Guards Sgt. 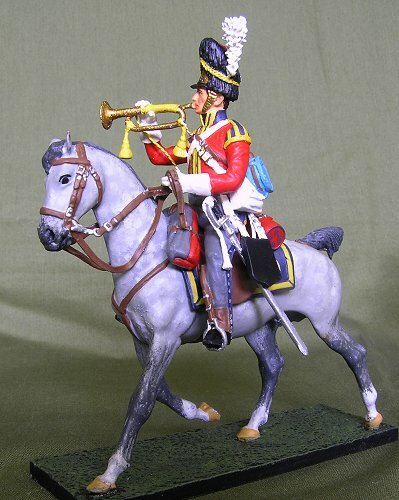 encouraging 2/52nd Pte. 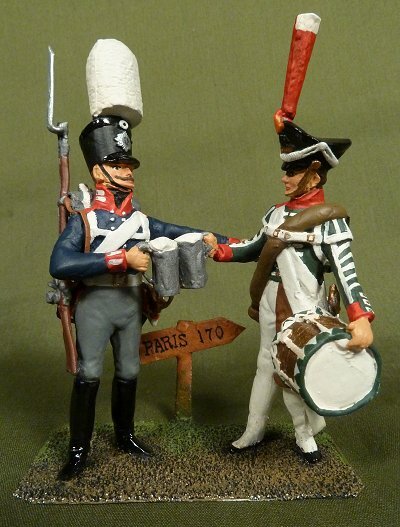 to rejoin the column on the "Retreat to Corunna 1808" 95th Rifles retrieving unused ammunition during the "Retreat to Corunna 1808"
Royal Wagon Train & camp follower on the "Retreat to Corunna 1808" 11th Hussars & Dragoon Kings German Legion "Retreat to Corunna 1808"
Rearguard on the "Retreat to Corunna 1808"
Sgt 43rd Foot, Trooper 10th Hussars, Pte 71st Foot HLI & Gunner RHA Rearguard on the "Retreat to Corunna 1808"
Cpl 81st Foot, Pte 28th Foot, Trooper 16th Light Dragoons & Cart Sir John Moore and staff on the "Retreat to Corunna 1808"
Casting made by King & Country for Del Prado, painted by me. 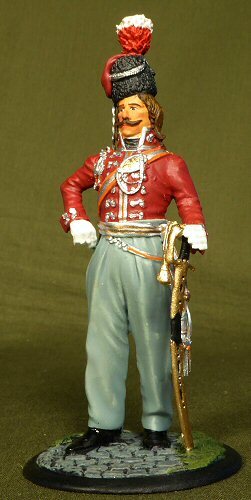 Casting made by King & Country for Del Prado, painted by me. 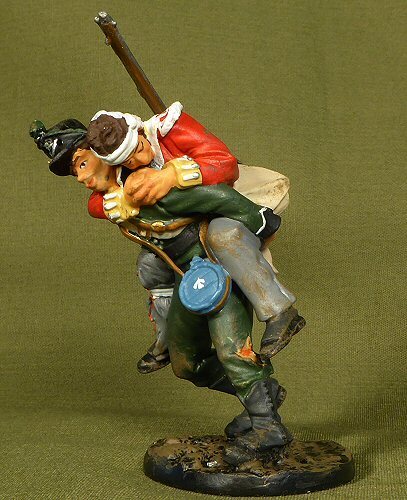 Sgt dragging wounded private, wounded Ensign, Ensign supporting him. 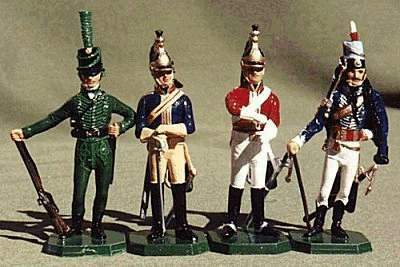 Bank of England Volunteers c 1800 Drum Major Royal Fusiliers, Lifeguard, Duke of Wellington, Major General of Light Dragoons & Officer 11th Light Dragoons. 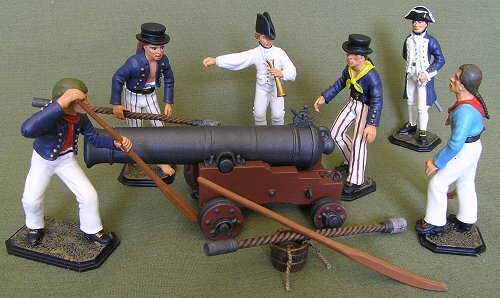 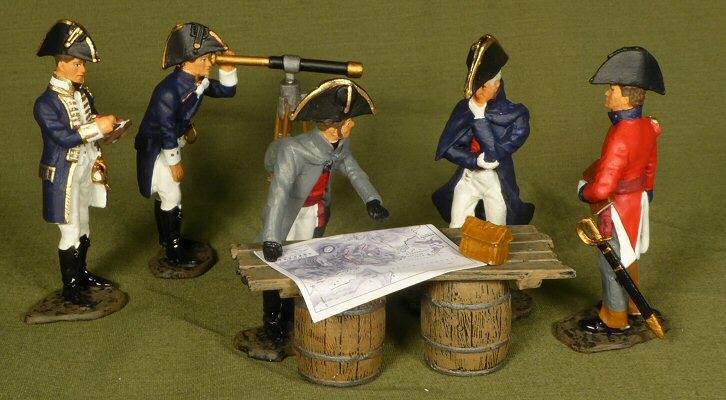 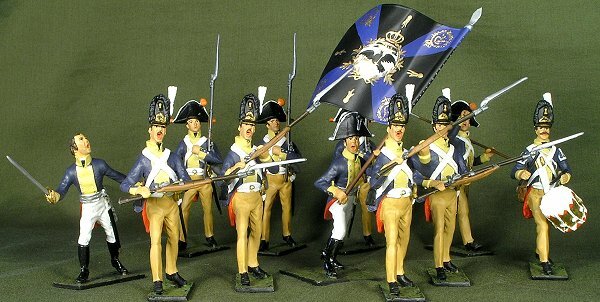 ROSE Miniatures 70mm "Jolly Roger" brand ?? 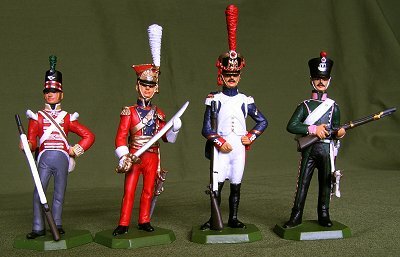 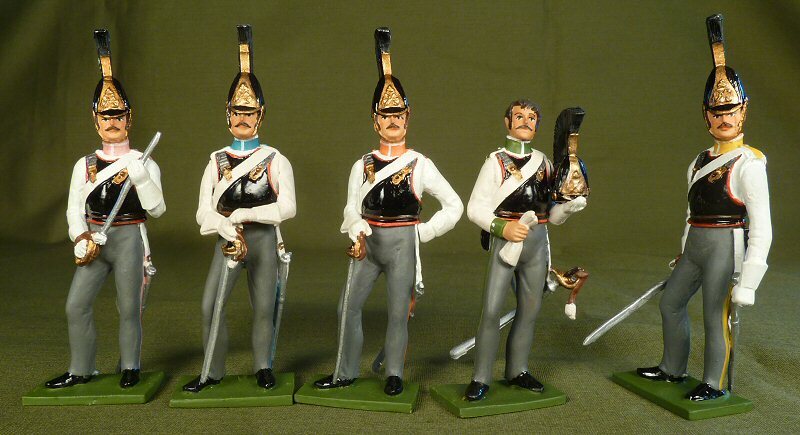 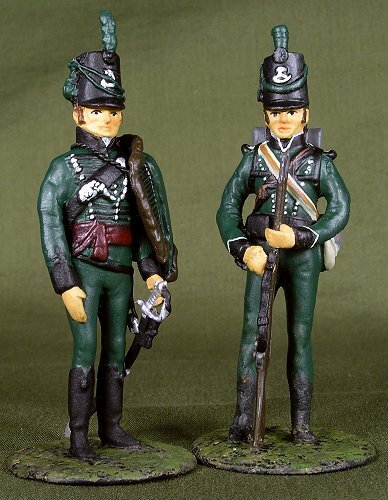 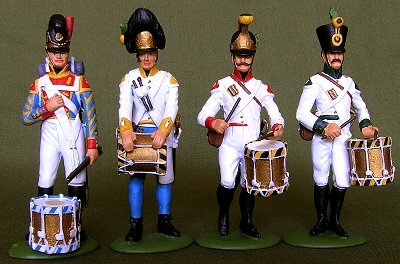 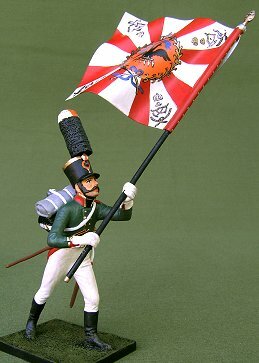 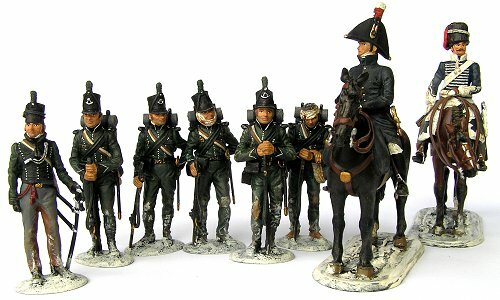 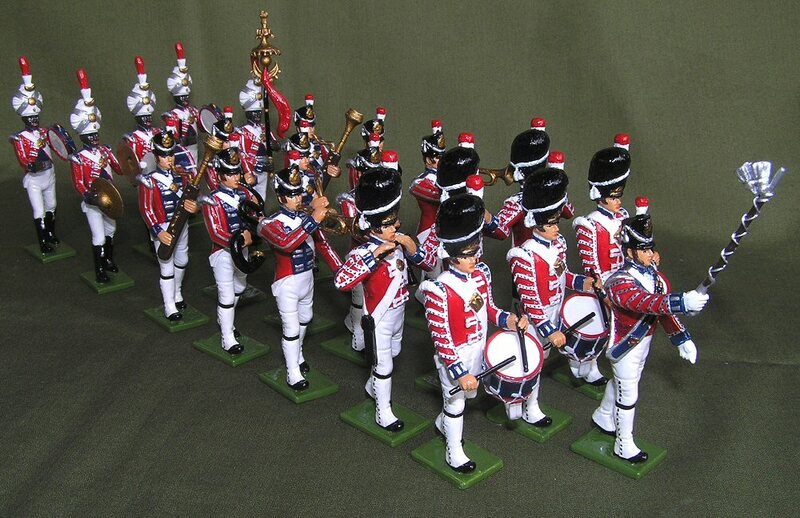 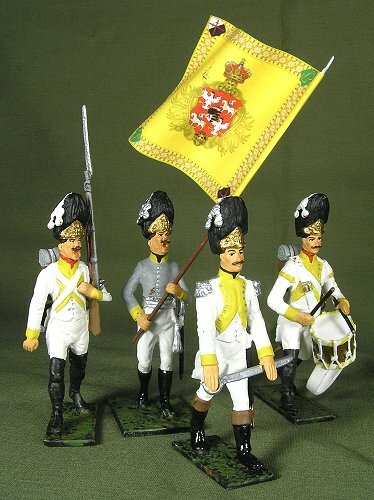 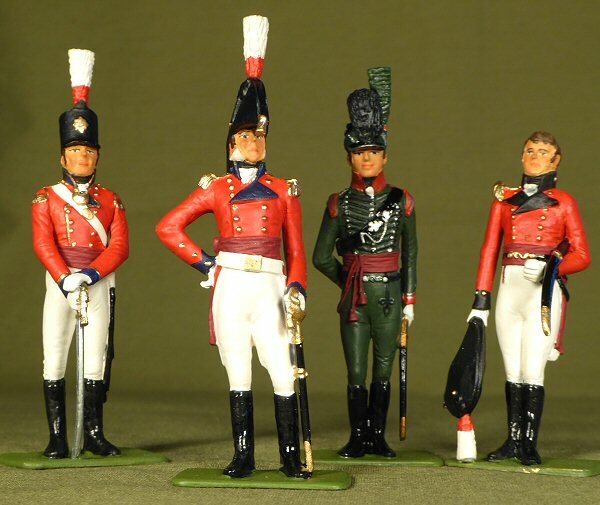 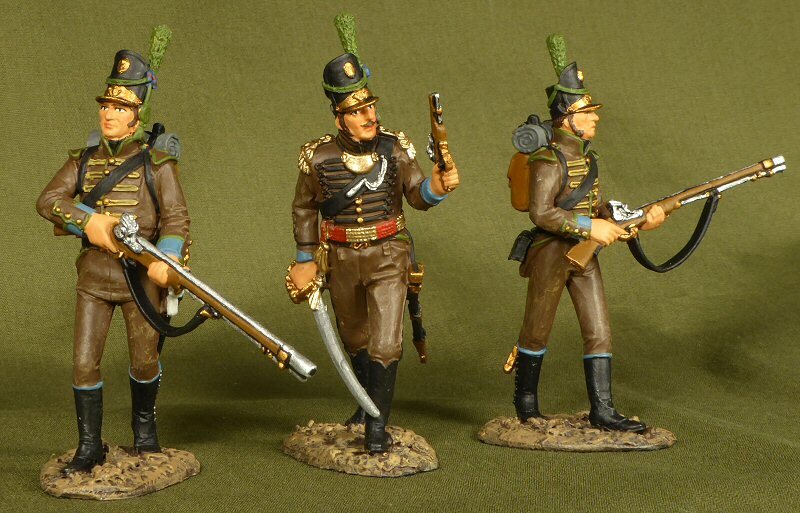 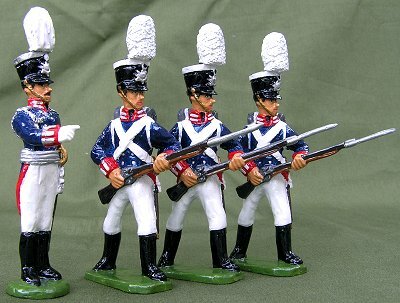 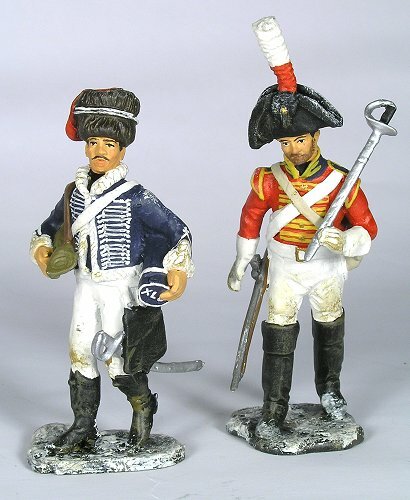 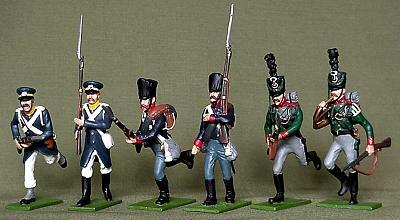 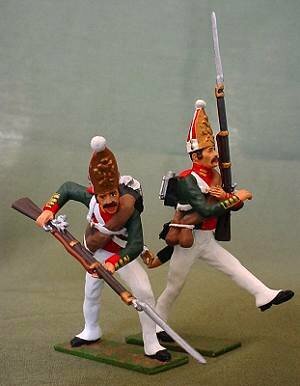 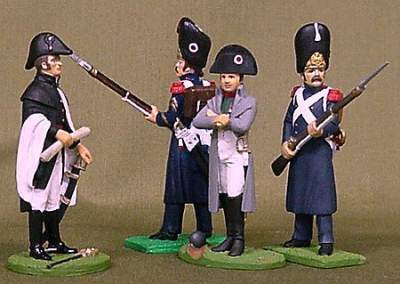 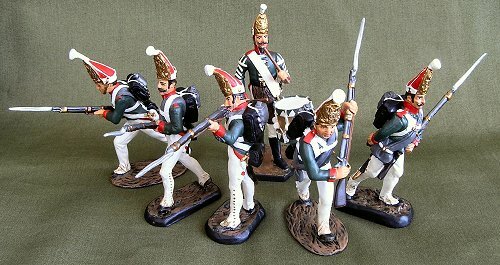 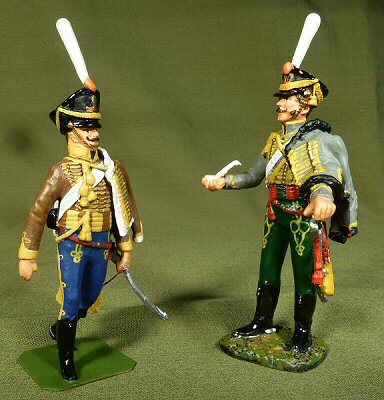 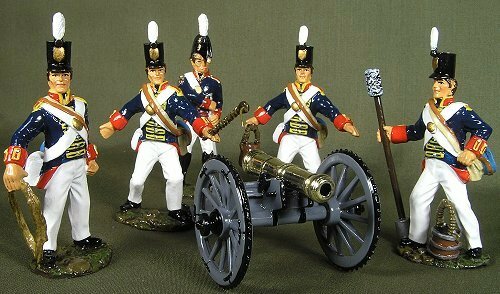 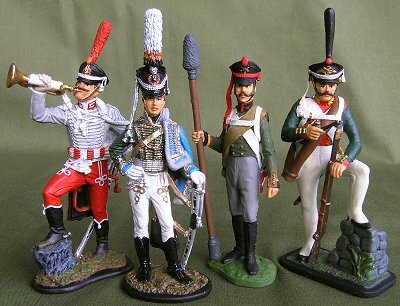 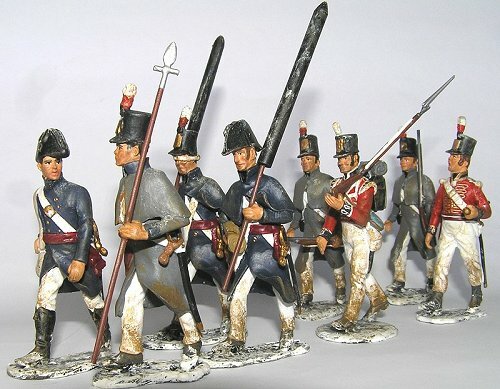 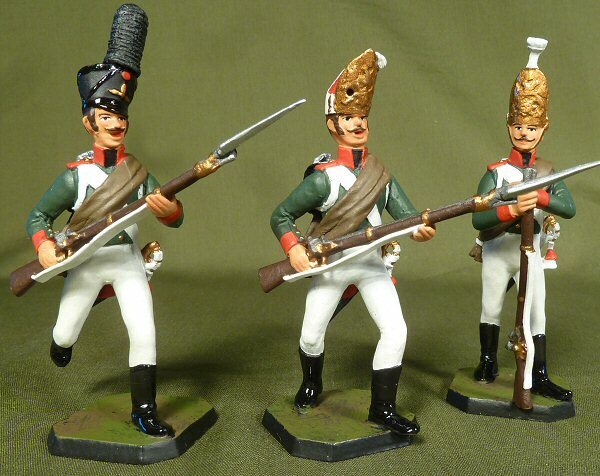 Austrian Army 21st Regt German 1809 - 1815. 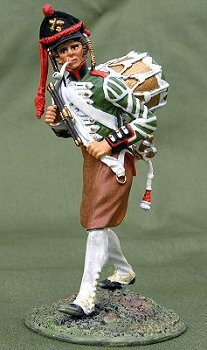 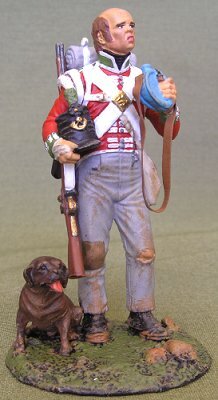 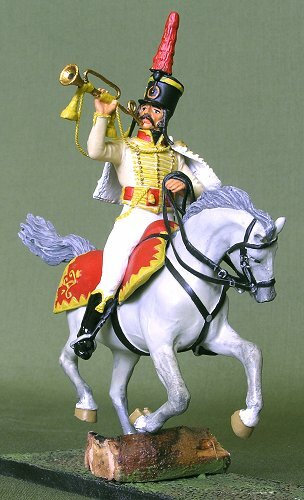 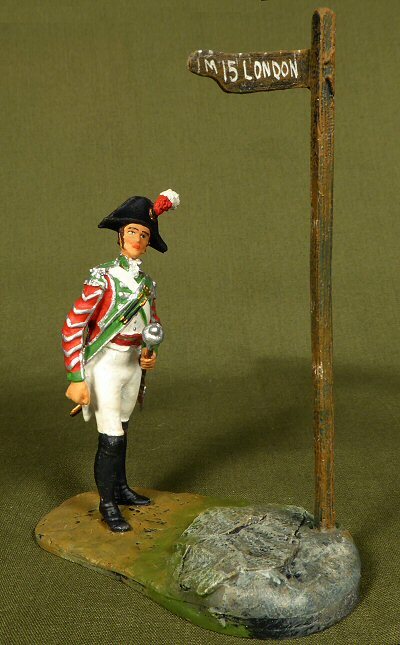 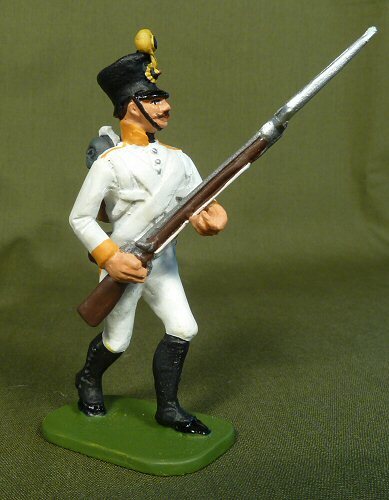 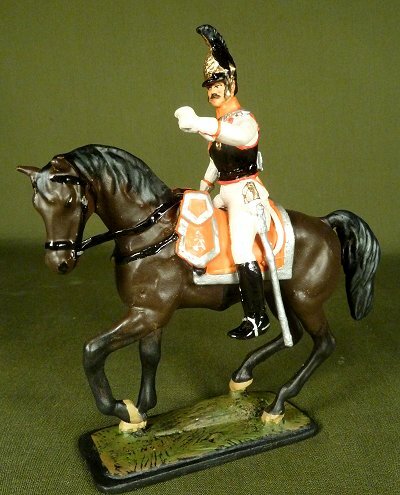 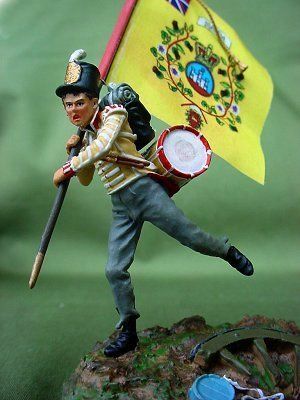 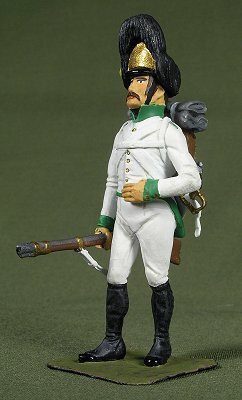 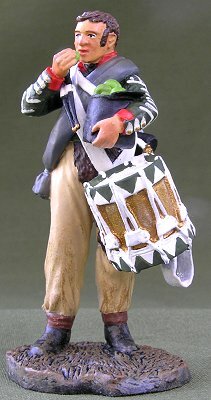 Prussian NCO Volunteer Jaeger Coy. 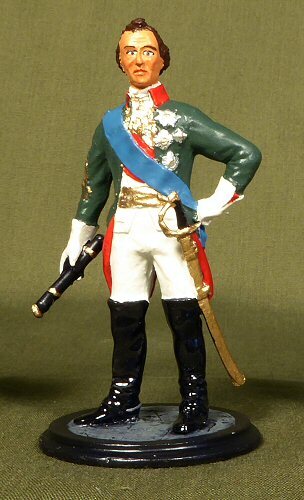 Casting made by King & Country for Del Prado, painted by me. 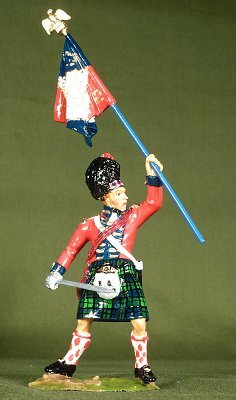 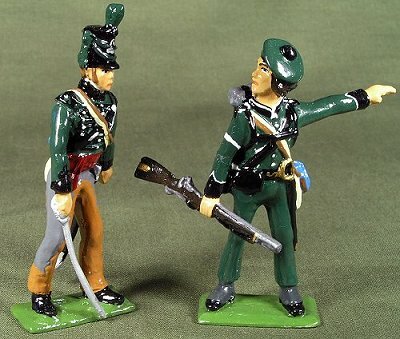 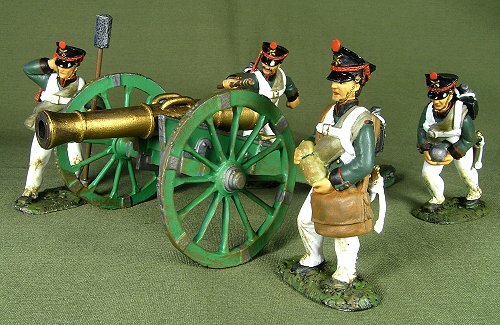 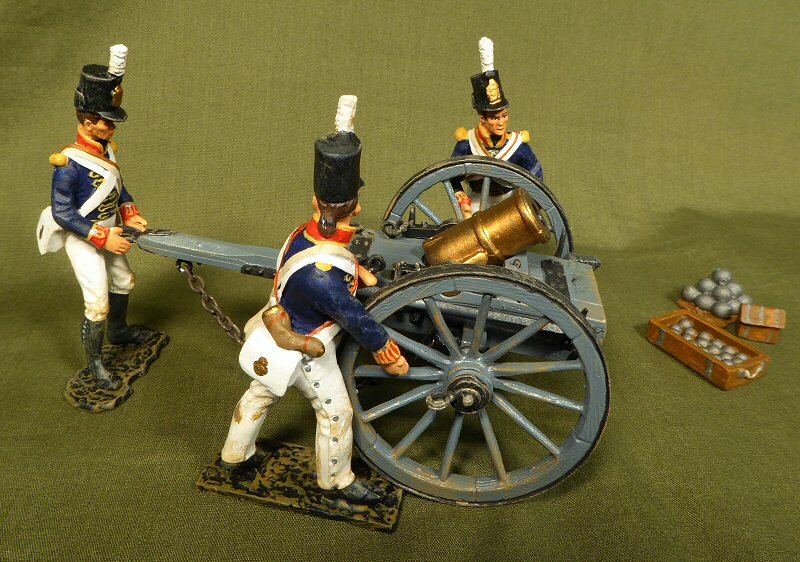 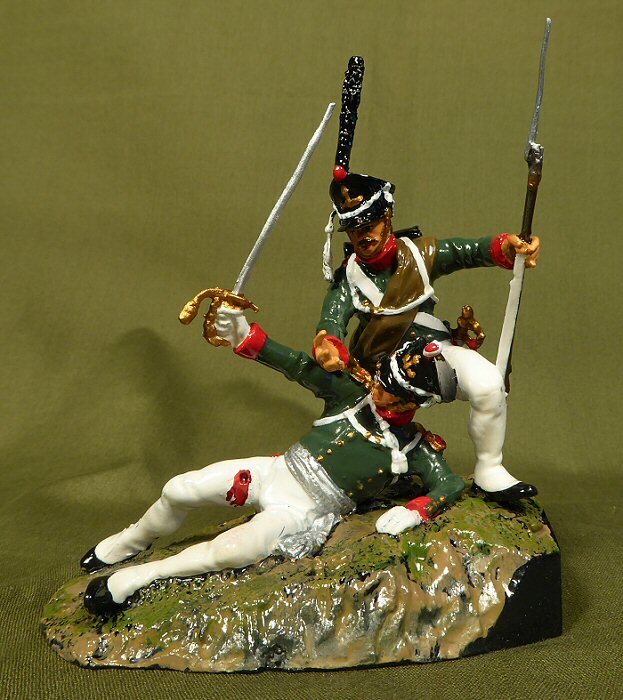 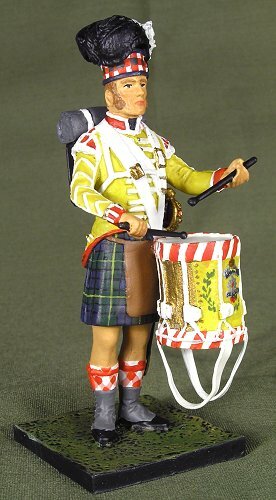 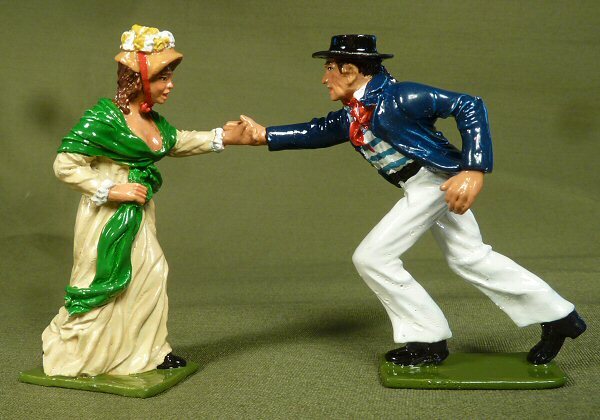 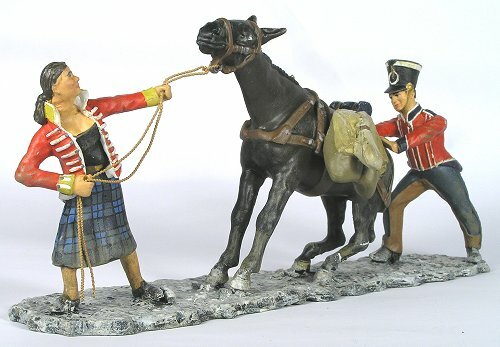 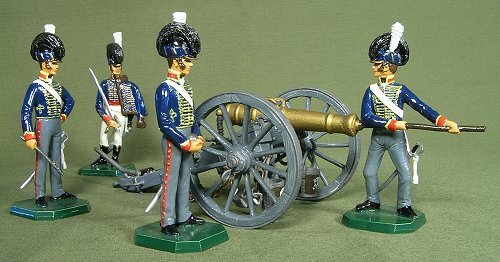 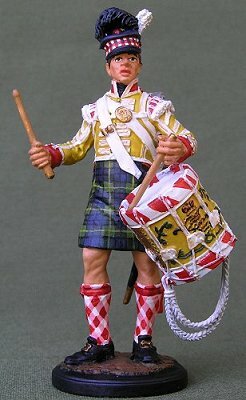 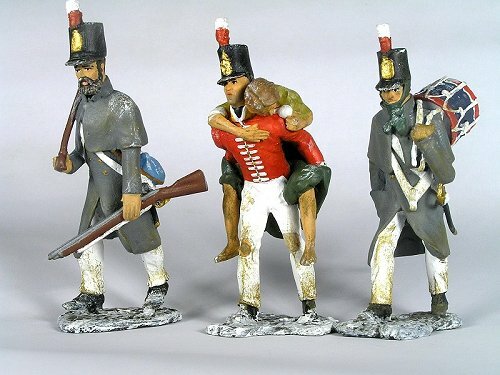 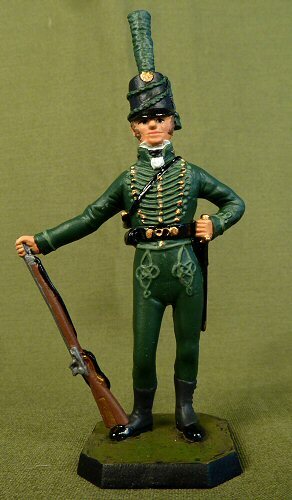 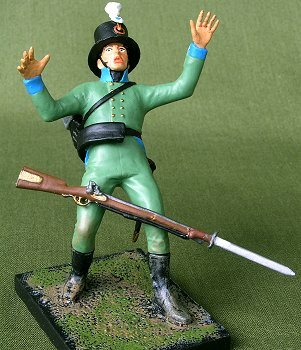 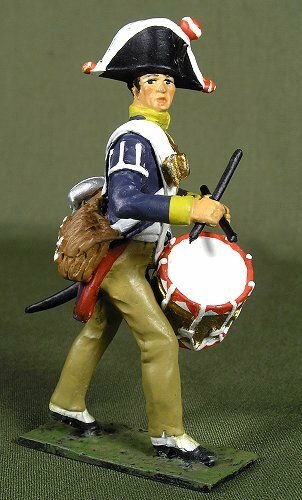 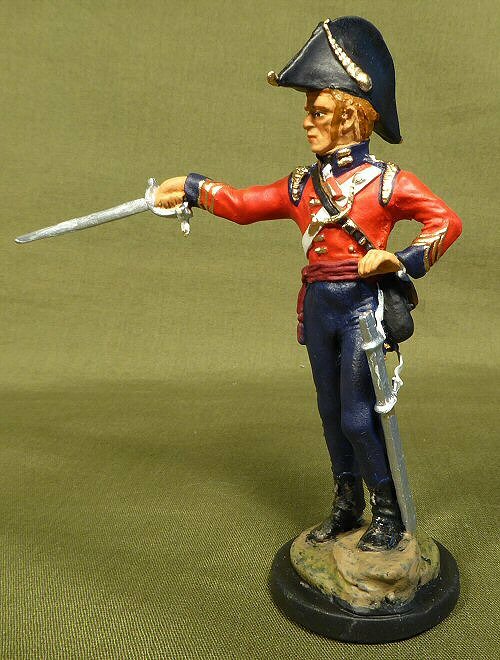 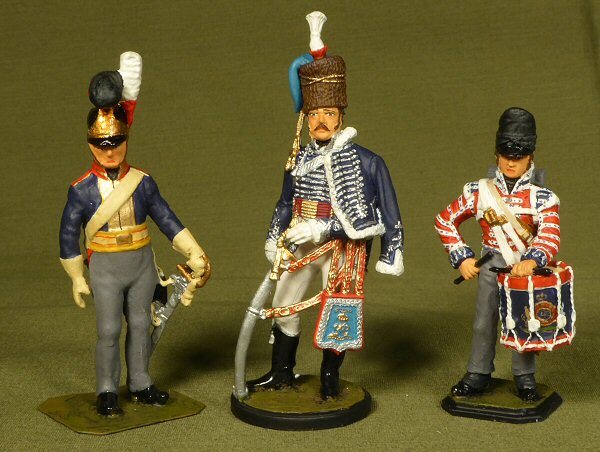 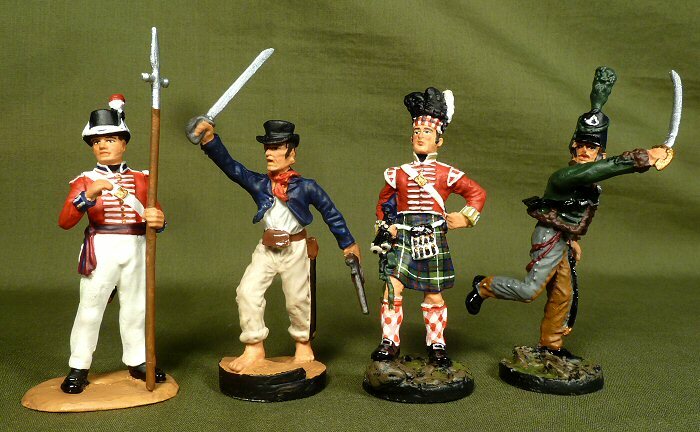 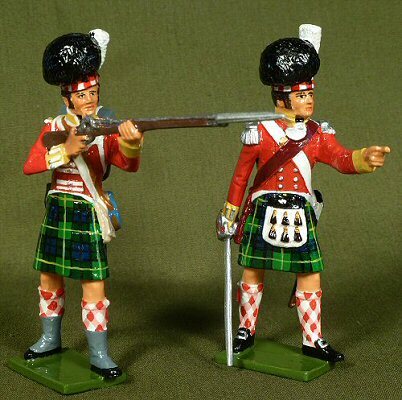 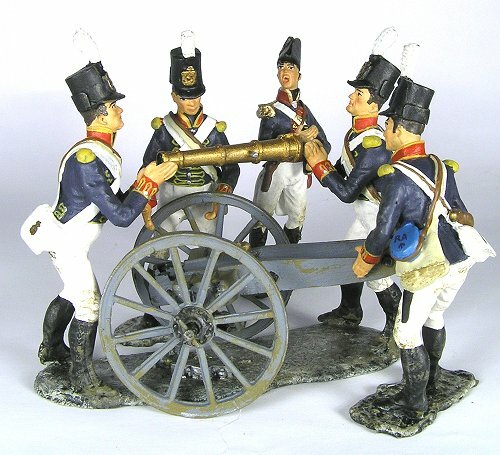 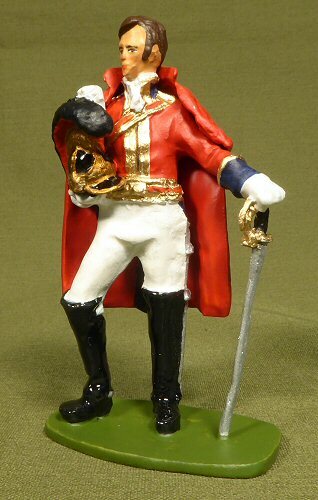 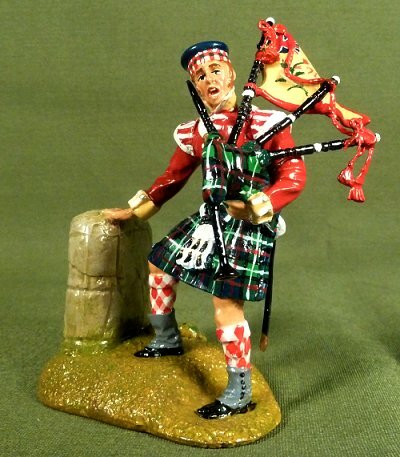 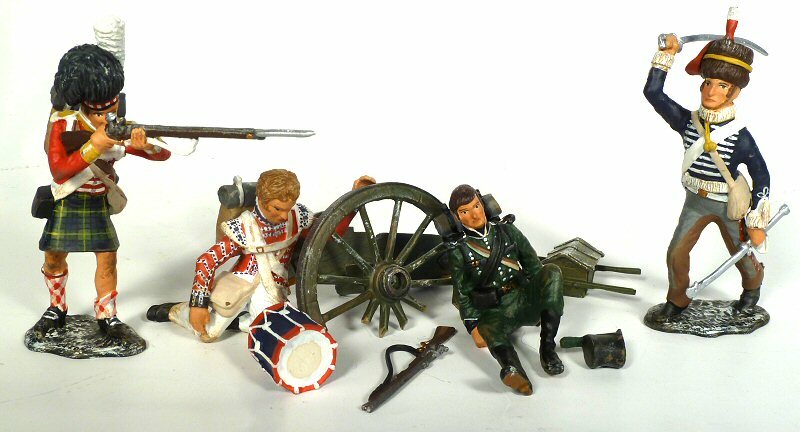 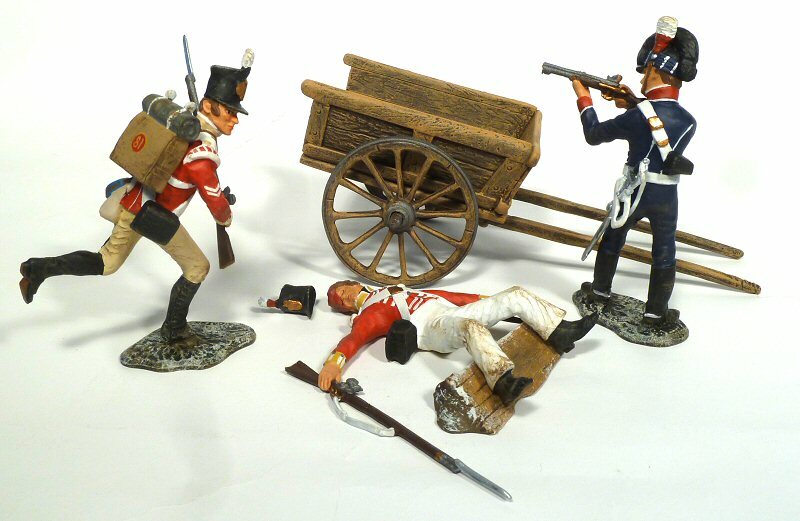 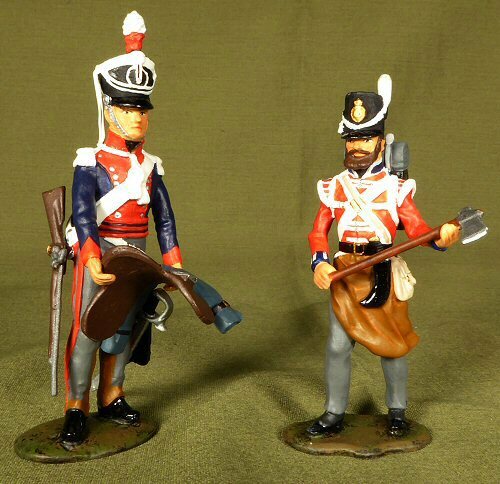 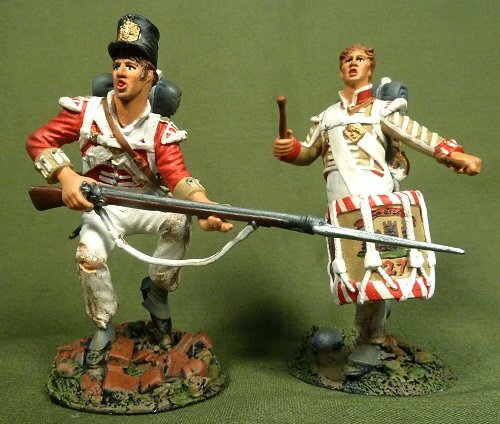 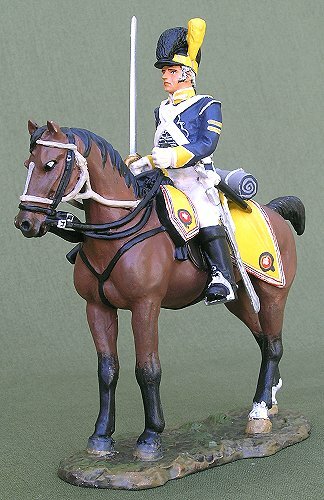 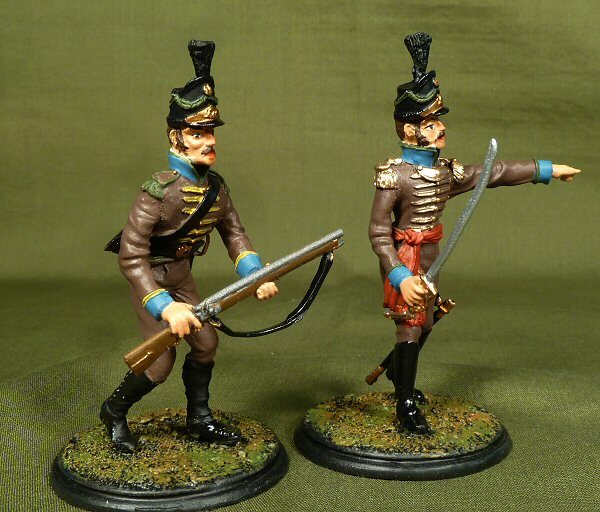 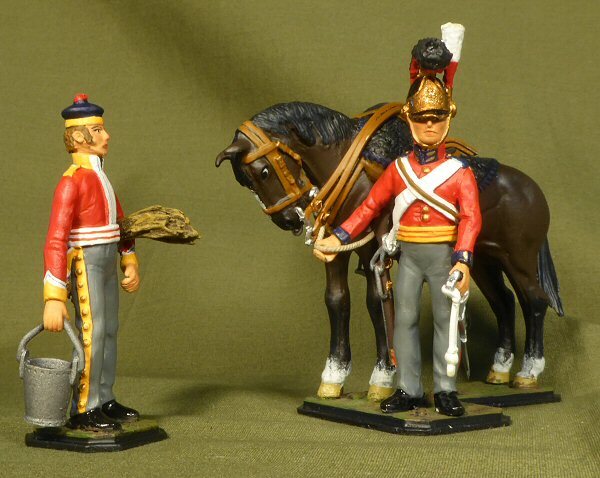 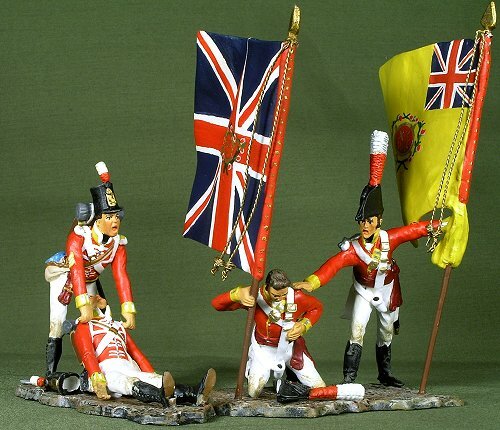 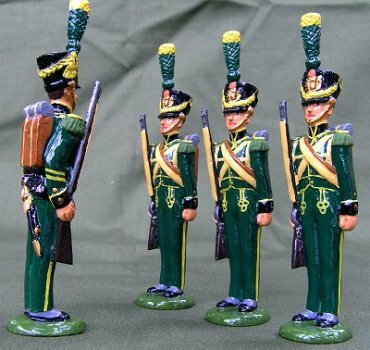 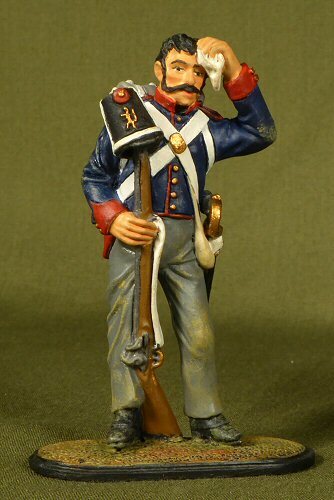 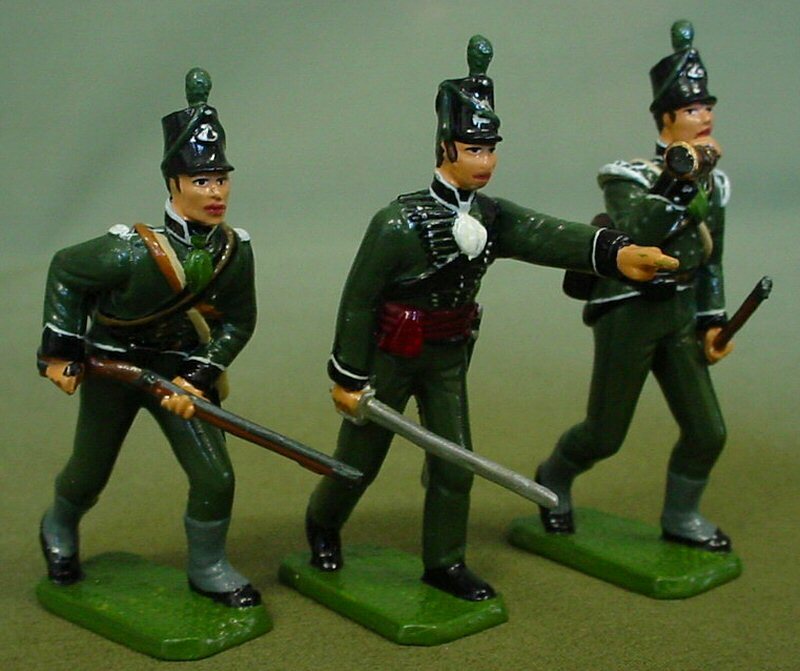 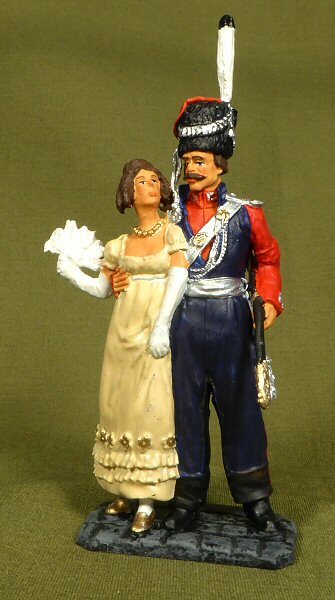 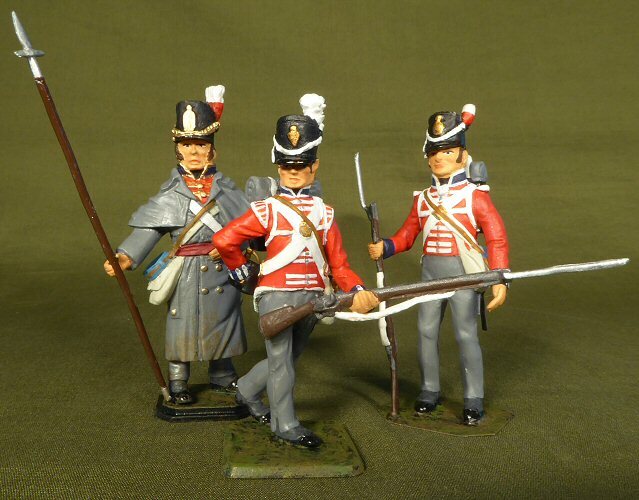 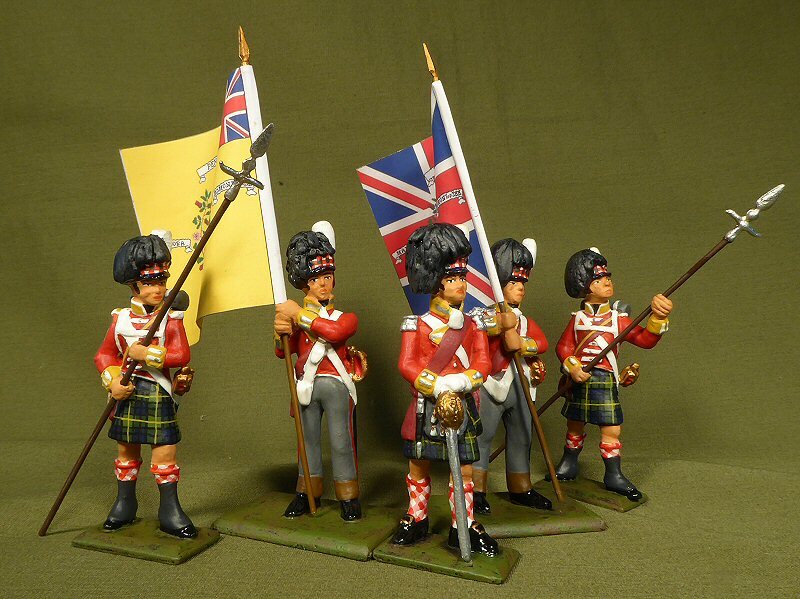 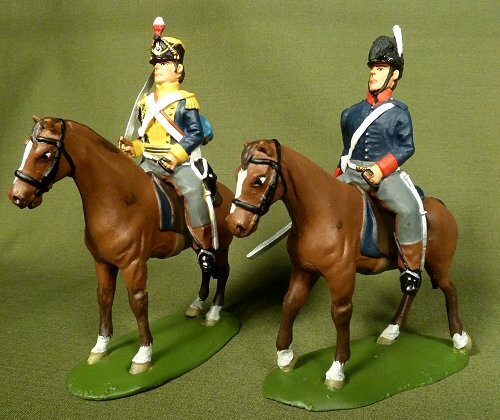 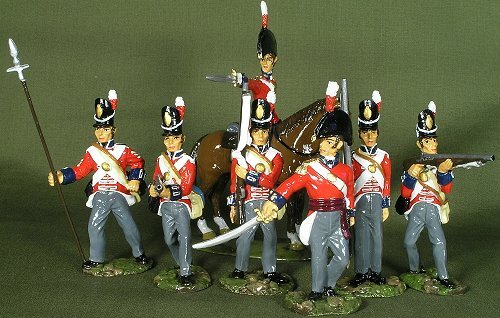 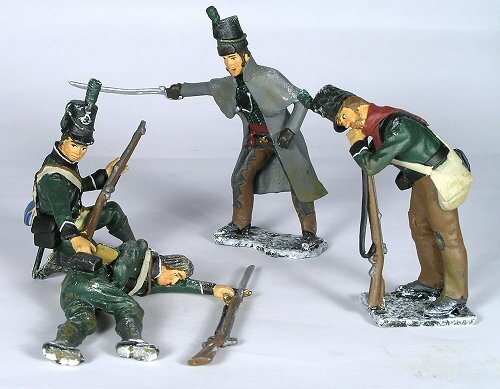 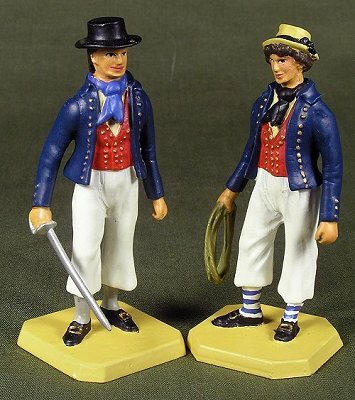 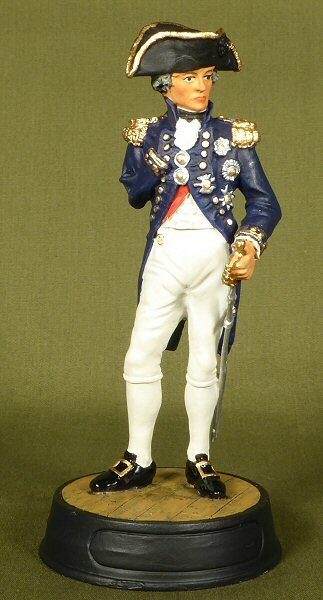 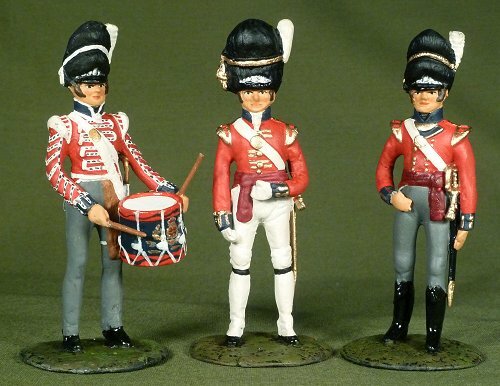 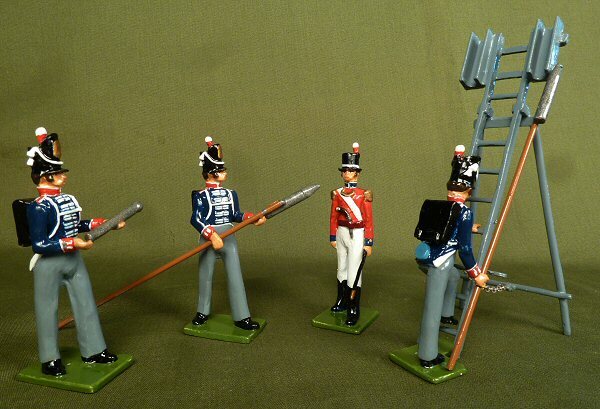 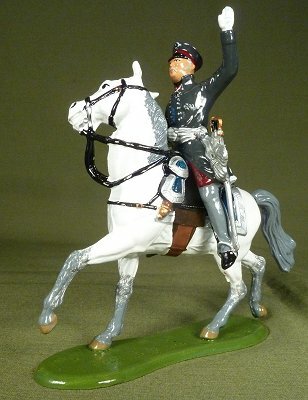 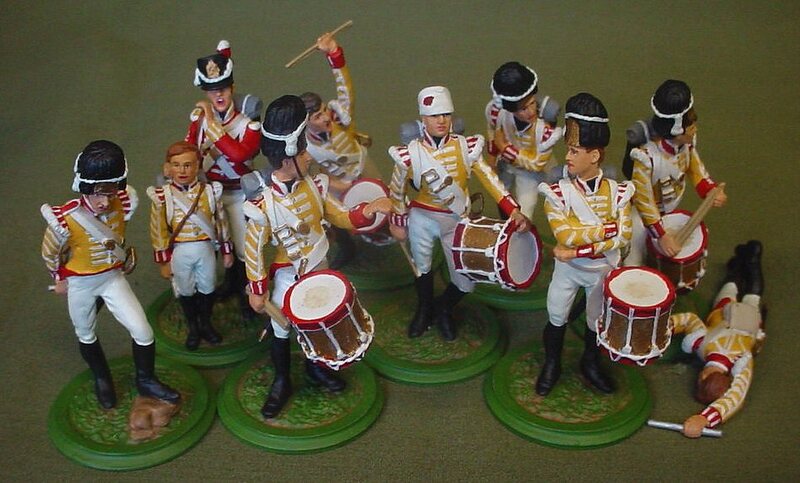 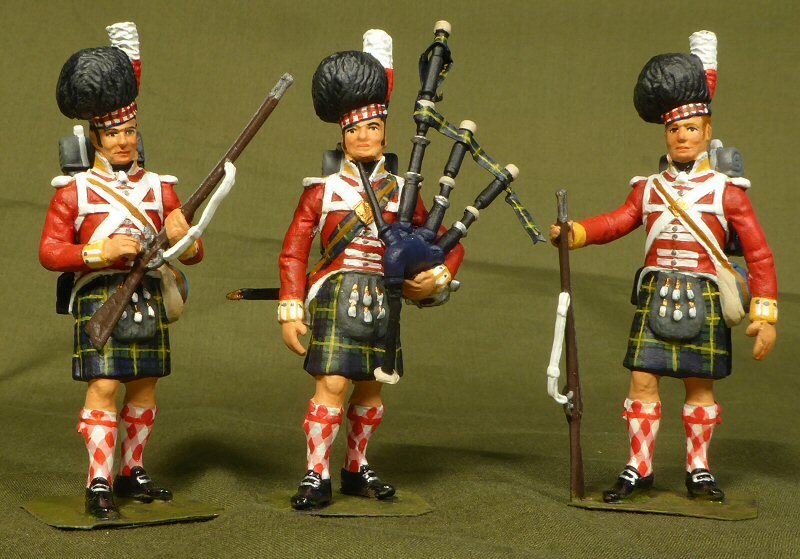 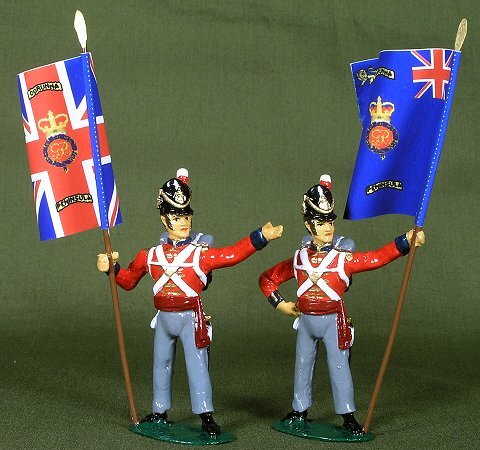 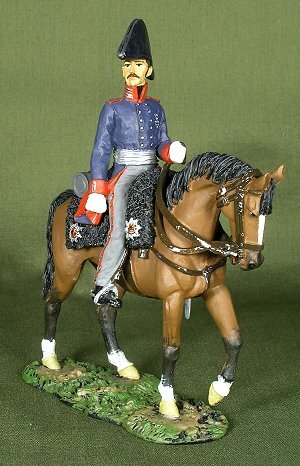 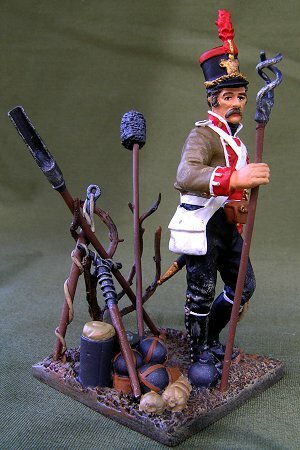 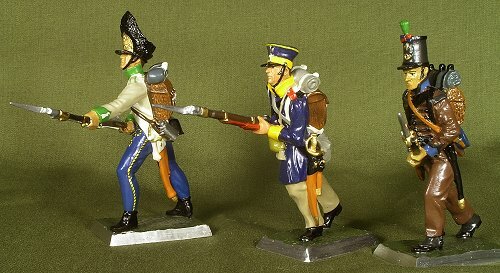 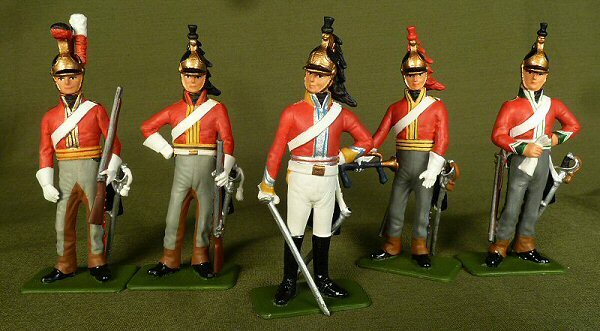 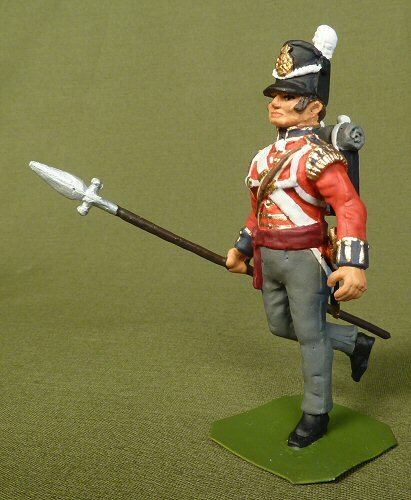 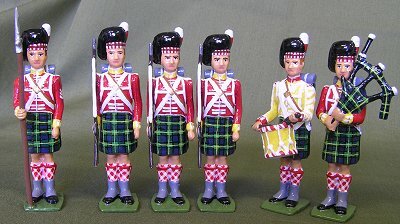 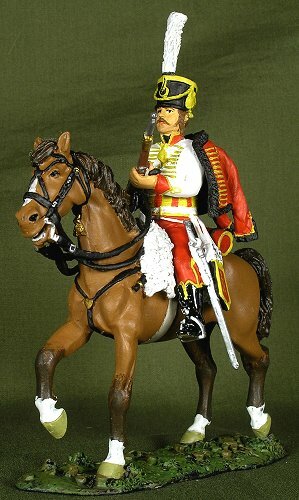 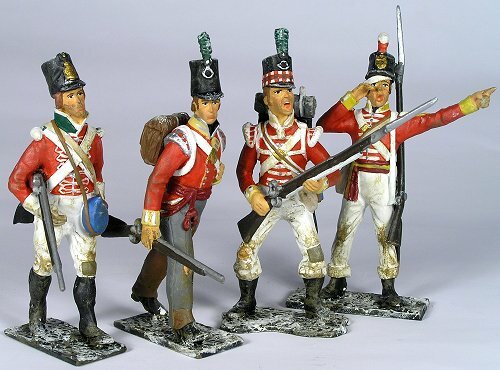 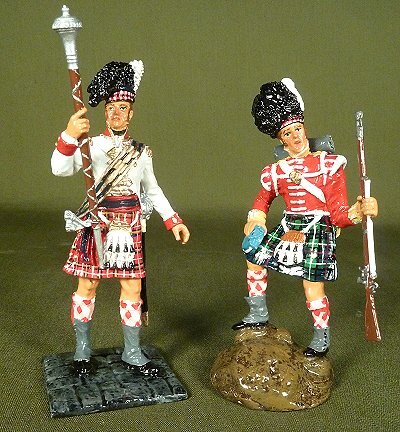 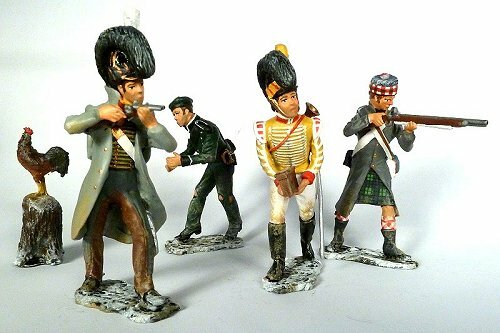 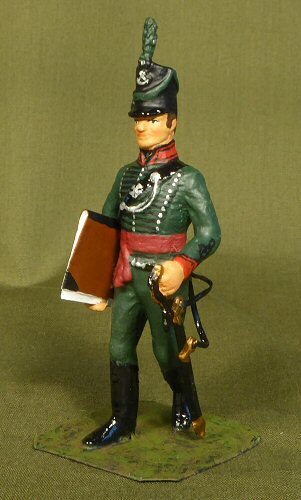 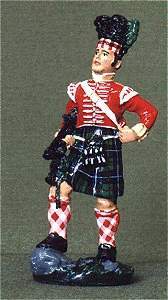 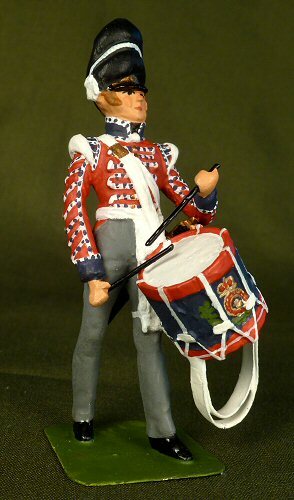 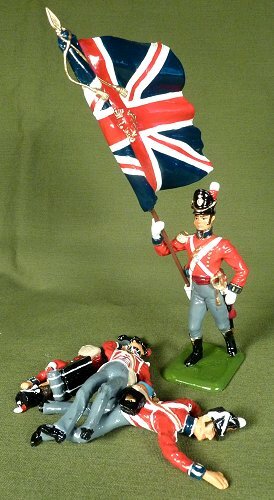 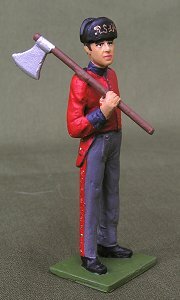 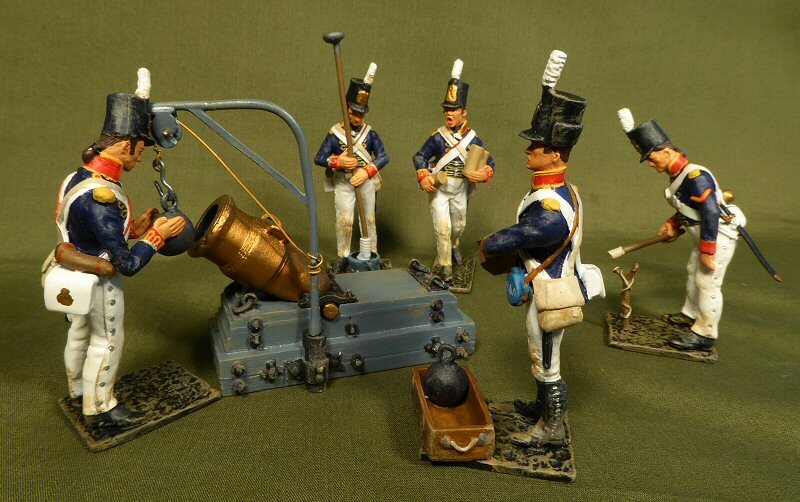 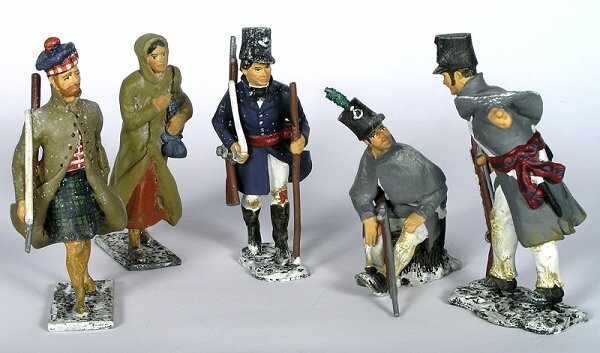 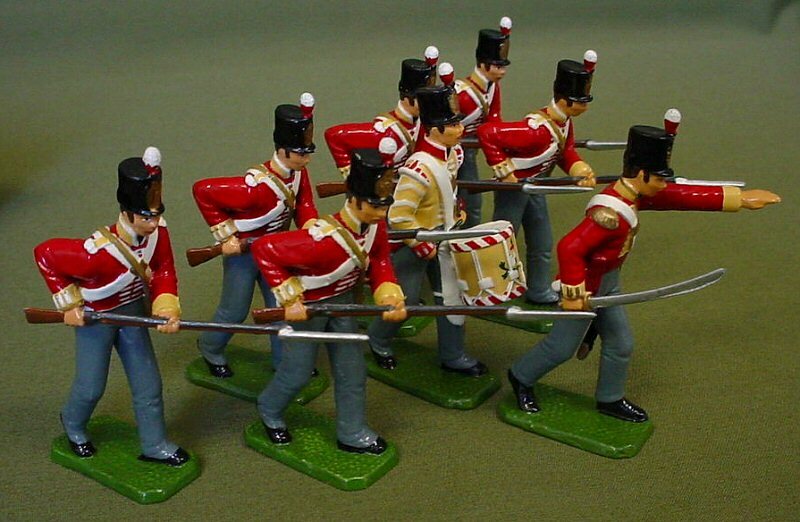 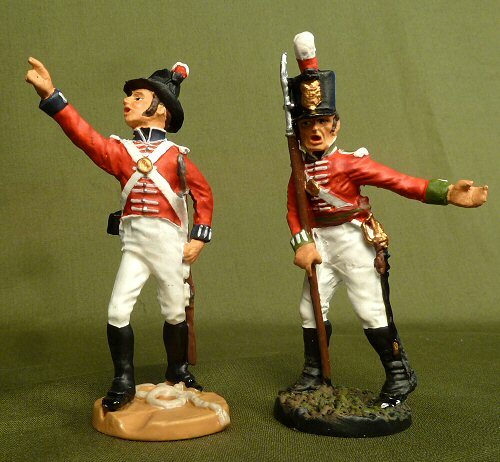 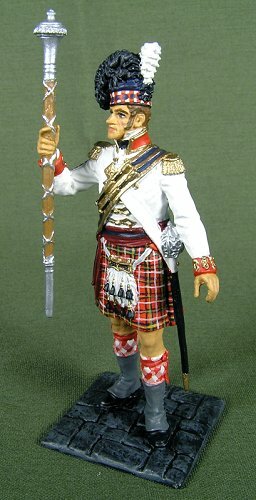 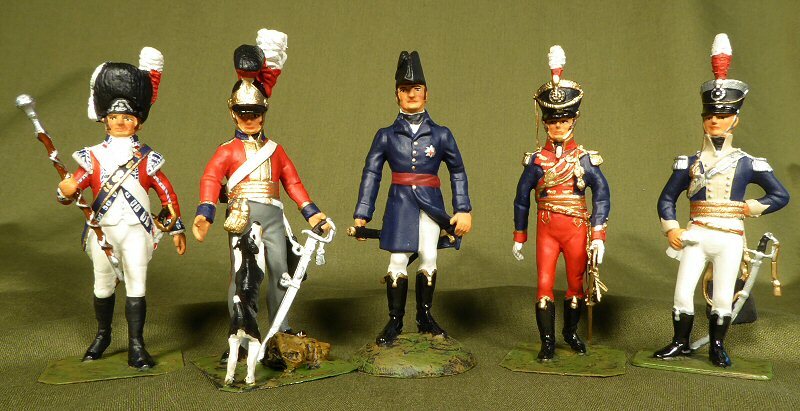 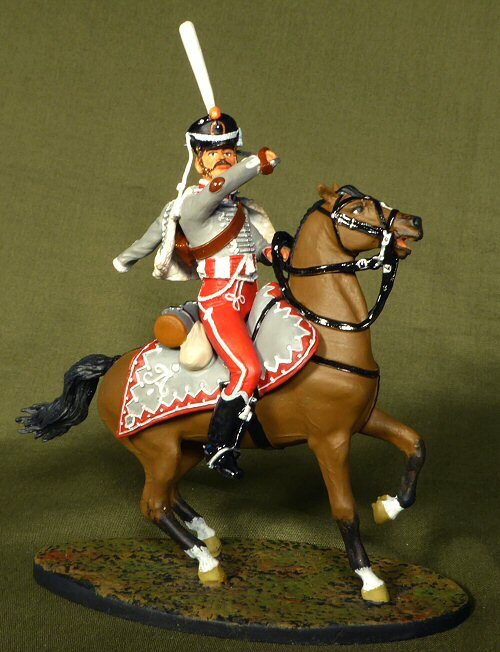 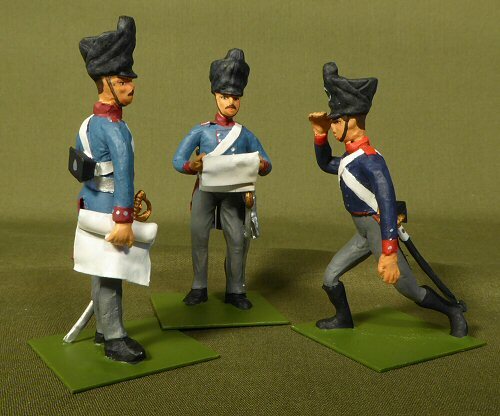 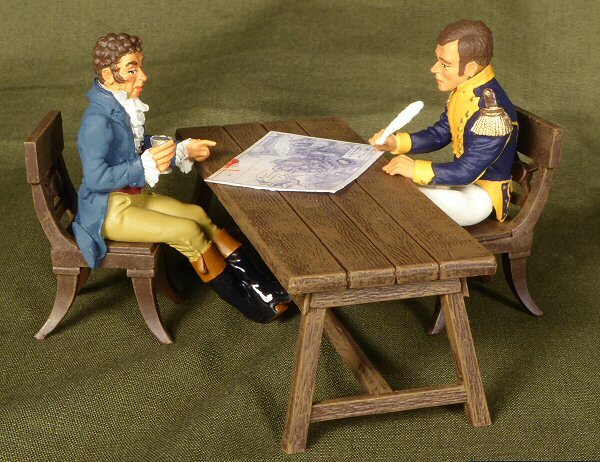 Hinton Hunt bought at London Toy Soldier Show June 2010 , stripped and repainted.